Everywhere I go, I run into people who say that they don’t sleep well. The follow up to that is usually, “What can I take to help me sleep all night?” But here’s the thing. You really want to be asking, “What is causing these sleepless nights?” It’s important that you get to the root cause of your sleeplessness, so you don’t have to take something every night. 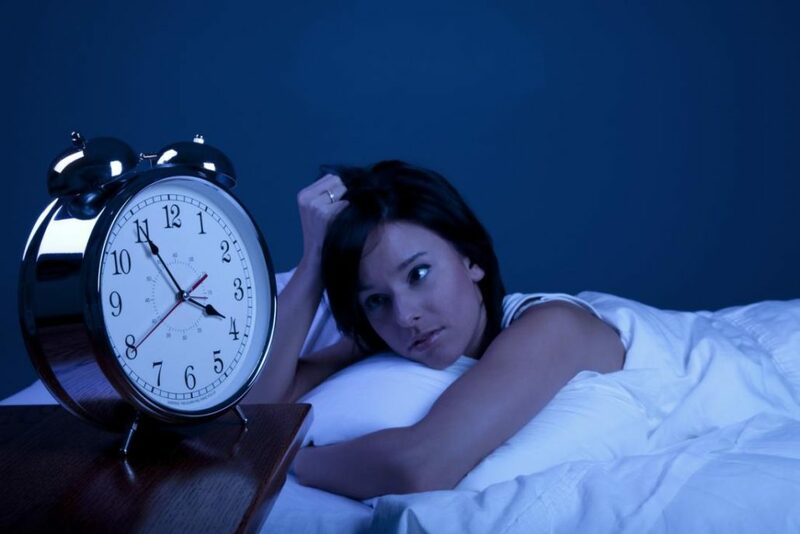 So how do you know what’s causing your insomnia? Let’s take a look at 9 things that might be the reason(s), because they are the keys to our overall wellness. Sleep Hygiene – Take a good look at your environment to see if you have the ideal sleep situation. Is your room dark enough? Is your room too hot or too cold? Do you have a bed partner (including pets and kids) that is disturbing you? Are you staying off of the electronics at least 30-60mins before bed? All of these things are simple, yet can be very effective! Nutrition – What you are eating can make a difference with how you sleep! We all know fruits and veggies are the way to go, but what should you stay away from? You want to avoid eating fatty or “heavy” meals right before bed. You want to avoid drinking caffeine past 4pm, because it can stay in your system for many hours. And you want to avoid alcohol in the evenings, because while it can make you sleepy initially, it will make your sleep restless throughout the night. Exercise – Being physically active throughout the day will help you to become more tired at night. Now, when I say the word “exercise”, I really mean activity in general. You don’t have to go to the gym to be active. You can walk, run, swim, play sports, play with your children, play a musical instrument, dance, and so much more! Again, the more active you can be during the day, the better chance you have at being extra tired at bedtime. Hydration – Staying hydrated is important for many reasons. When it comes to sleep, being dehydrated before bed can lead to drier mouth and nasal passages, which can lead to snoring or having you wake up because you are dry and parched. It can also lead to nighttime leg cramps, which are certain to wake you up in pain and make it harder to fall back asleep afterwards. Communication – You might be wondering how this can affect your sleep, but it does! Did you ever hear the old saying “never go to bed angry”? Why is that? First of all, it’s really hard to go to sleep if you are angry! In order to go to sleep, you need to be fully relaxed and calm…two things being angry don’t help with! Therefore, it’s important that you communicate your feelings before bed. And if you can’t resolve the issue then and there, trying talking it out with a friend or family member to “get it off your chest”. Stress – This is a big one, and it kind of goes along with communication. When you’re feeling stressed and overwhelmed, it’s not conducive to being relaxed and calm, again making it hard to sleep. Reducing your stress, can certainly help you to both fall asleep better at bedtime and stay asleep all night. Breath – Going along with stress is breathing. No, not regular breathing but deep breathing! It’s not so much that your breathing can cause sleep issues, but it certainly can make you feel better! Deep breathing can help to calm you, keep you relaxed, and make you sleepy. It’s a good thing to keep as a part of your nightly bedtime routine! Thoughts and Beliefs – Again, this one is a little “out of the box” with traditional sleep issues but’s still important. Ask yourself what your thoughts and beliefs are about sleep in general. Do you think that you only need X amount of hours per night? Do you think sleep is only for the weak? Do you put everything else first over your sleep needs (ie household chores, spouse, kids, work, etc)? Maybe it’s time you change your thoughts when it comes to your own sleep! Medications/Illnesses – This one may not be something you can easily change, but it’s something you need to be aware of. Certain medical conditions or illnesses have symptoms that affect our sleep (ex: depression, anxiety, restless leg syndrome, etc). And some prescription medications people take on a daily basis can affect their sleep, in the form of insomnia as a side effect. Check your medications to see if this could be the case with you! If it is definitely an issue, or if you’re concerned it might be, then you want to talk to your physician. And please do not go off any medications without first talking to your doctor! If you’re like most people, you probably read this and thought a few of these things could be affecting your life. It’s true that oftentimes there is more than one reason why we’re not sleeping well. It can be a bit of a mystery to figure it out, but it can be truly life changing if you can do so! If you need some help understanding what your factors are, and would like to know how you can make changes to your life, then let’s talk! As an integrative adult sleep coach, I help people do just this. I will help you get to the root causes, and then I will coach you through making small, attainable goals so that you can sleep well again. I offer free 15min phone calls, if you’d like to learn more about how I might be able to help you! And you can check out more about my adult sleep packages, too!